Shoreditch is full of trendy drinking holes – including some absolutely brilliant pubs. 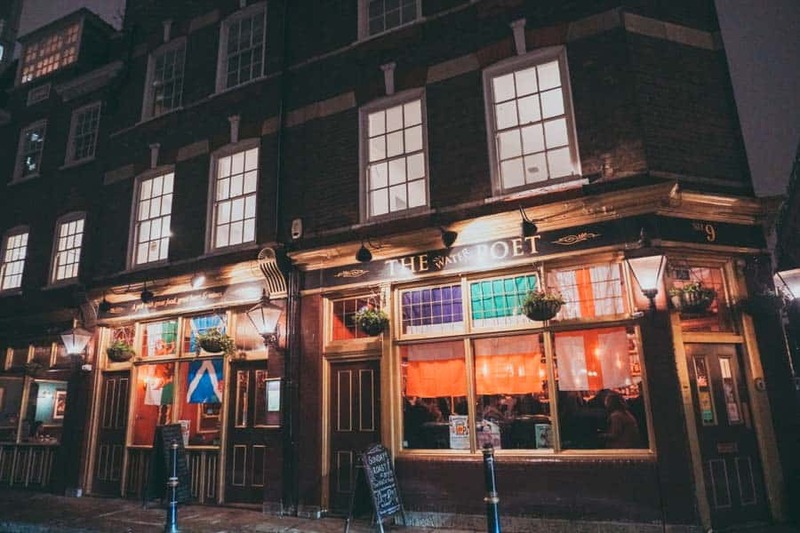 Looking for the best Shoreditch pubs for a cosy chat? Here are the ones you should head to. Yeah yeah, Shoreditch is trendy AF and can sometimes feel a bit too try hard but that doesn’t detract from the fact it’s home to some of the capital’s best boozers. 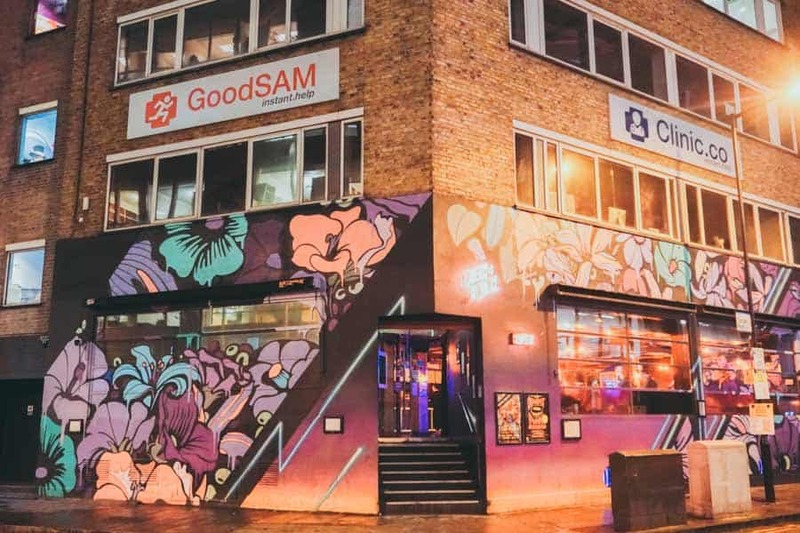 From cool bars to cosy pubs, there is no shortage of places to grab a drink in Shoreditch of an evening. Need some inspiration? Start with my pick of the best Shoreditch pubs. The Crown & Shuttle errs on the trendy side of pubhood – with a cool decor and vibe that is comfortable without being pretentious. It also just so happens to have one of the biggest beer gardens in Shoreditch – one to remember for the summer months. If that all sounds a little too staid, head upstairs to Filthy Fanny’s – a hyperreal 90’s cocktail pub “for those who wished they remembered it… and those who wish they could forget”. 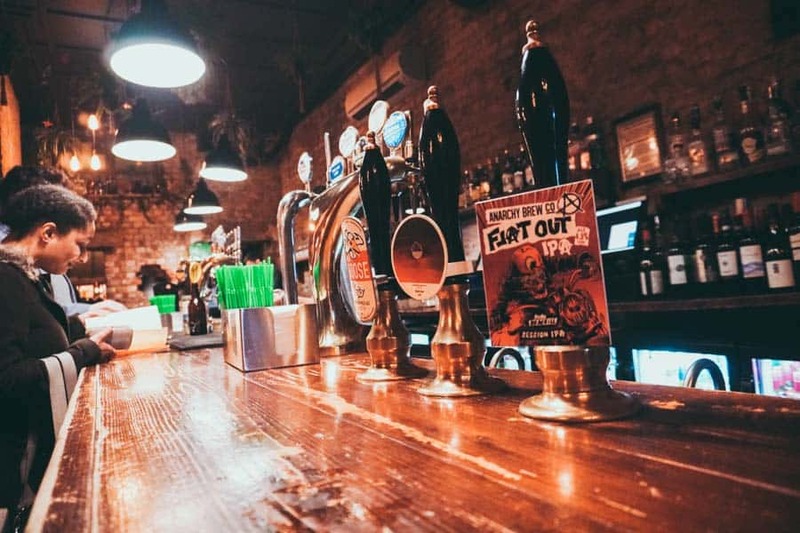 I’ve long been a fan of The Draft House (particularly the original branch next to Tower Bridge) – this Shoreditch pub has become one of the go-to places for craft beer lovers to indulge in a few good drinks. Cask ales, an ever-changing rotation of draught beers – it’s a simple concept done very well. The Draft House is passionate about showcasing drinks from the best craft beer producers, large and small, so you can expect to find something you love. Not sure what to go for? The staff have a near encyclopedic knowledge of their stock and will talk you through to your perfect sip. I feel like including The Queen of Hoxton on my list of best pubs in Shoreditch is punchy for two reasons. Firstly, there’s a question of whether it’s a pub or a bar AND there’s the little niggling matter of the Hoxton in its name. Is Hoxton Shoreditch? Where does one end and the other begin? Cue existential crisis. However you look at it, The Queen of Hoxton is a great Shoreditch venue – acting as a pub, bar, club and venue rolled into one. There’s also the matter of the rooftop bar, which is predictably one of Shoreditch’s busiest spots in the summer months. The Ten Bells is another of Shoreditch’s historic pubs. Right across the road from Spitalfields Market – it’s a real fixture on Shoreditch’s drinking scene. 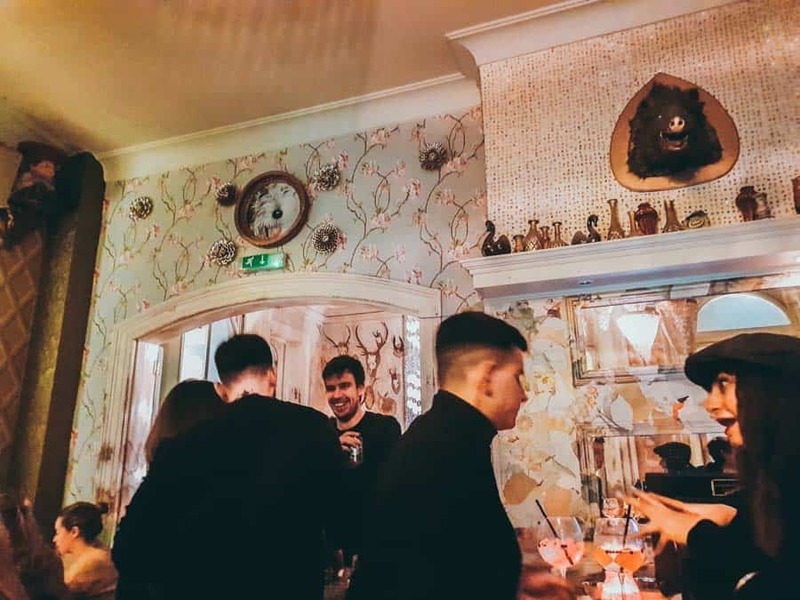 It’s no surprise that The Ten Bells is always named as one of the best pubs in Shoreditch – the lively atmosphere and crowded space might not fit the bill for a quiet catch up with an old friend, but it’s the perfect spot for a few after work drinks. Beware – you’ll do well to nab a seat on a Friday night. Mad, bad and dangerous to know, The Old Blue Last is the booze-soaked vagabond of the Shoreditch pub scene – something I can only imagine it’s owners (none other than Vice) absolutely intended. It’s a little too cool for school at times, but their gigs are banging and it’s one of the area’s best-known spots. The Gun might have popped onto Shoreditch’s pub scene in its current guise in 2014, but this pub has one hell of a lot of history behind it. 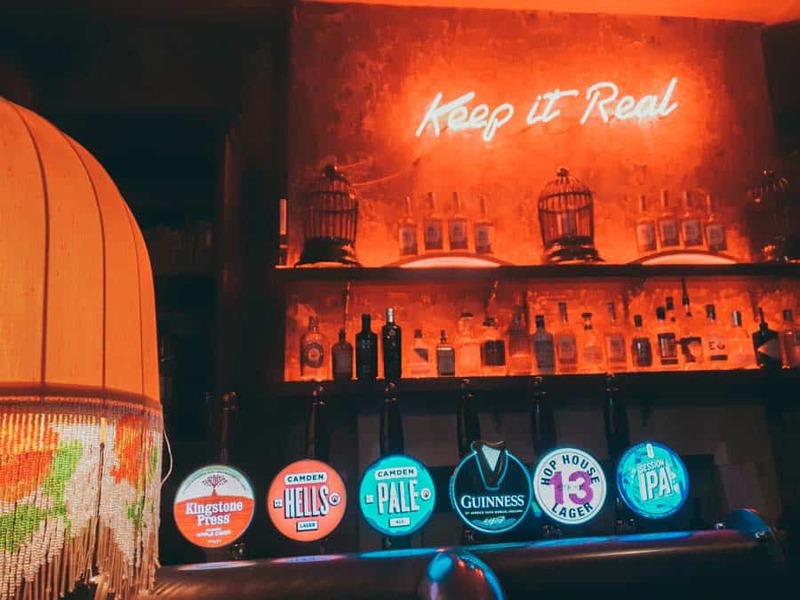 There’s been a pub here since 1860 and the owners set out to turn it into what it should always have been – a bloody good neighbourhood pub in the heart of Shoreditch. It sounds so simple right? Serve good craft beer, a selection of spirits and some good-quality wine in a nice atmosphere – then round it off with some tasty pub grub. It just works. I have to admit, there’s something about The Commercial Tavern that sees me returning time and time again. On the face of it, it’s just a centrally-located Shoreditch pub that’s spread out over a couple of floors and which serves some pretty decent drinks. Dig a little deeper and you’ll find a quirkily decorated spot with an almost unwaveringly chilled out crowd, delicious pizzas and some banging gin and tonics. Oh, and the beers are good too. Small and unpretentious old-school pubs in Shoreditch are an increasingly rare entity. When everyone’s rushing to open the next brewpub or cocktail-pub (rolls eyes), settling into a nice traditional pub is a real treasure. The Pride of Spitalfields flys the flag for the old-school pub high – unfussy and welcoming, it’s a nice place for a good drink – when you can get a seat. Keep an eye out for the characterful Lenny – The Pride’s resident cat, who’s pretty much seen it all. Another good pub in Shoreditch for the craft beer lovers, The Craft Beer Co’s eye-catching branding is hard to miss. Good thing too – if you like beer, this should be at the top of your list of go-to watering holes. It takes a real character to run a pub – and The Golden Heart’s publican Sandra Esquilant is certainly that. Sandra’s forceful personality turned this relatively unassuming pub across from Spitalfields Market into the toast of London’s art scene – which is why you’ll find works by Tracey Emin dotted around the gaff and more than a few stories from the days when Gilbert & George and Jake & Dinos Chapman were frequent visitors. A warren of rooms large and small, The Water Poet has the feel of Mary Poppin’s bag – seemingly normal on the outside, never ending on the inside. The large beer garden is a popular Shoreditch hangout – there’s even a covered area that’s kept toasty and warm during the winter months. There we have it – the best Shoreditch pubs. Booze safely folk. Click here for a map of the pubs featured.